Some of you are already using the beta version of our new layout. In the last few months we have been working on some improvements based on your feedback. We made some changes to the general look and feel, maximized workspace and made it easier to add media and maps to your plans. You can see the major changes below or try it out yourself if you are a PRO user. 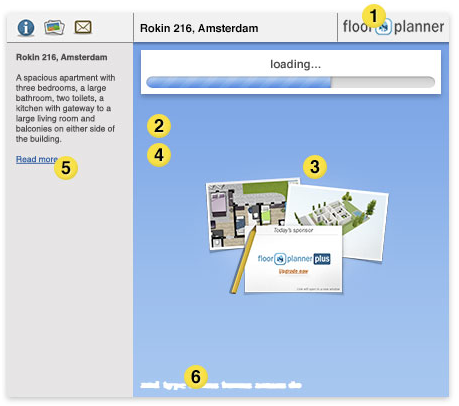 In the coming months we will be rolling out this new layout to all Floorplanner users but for now only PRO accounts can activate this new layout. You can do this by going into your account settings and look for the "change preferences" where you can set your account to the new layout. One of the things you will notice immediately is that we changed the way you navigate between your account pages. What used to be tabs in your dashboard, is now put into a small drop-down menu in the top-left corner. 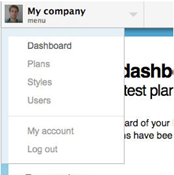 All your main pages like your dashboard, styles, account page, etc can be accessed through this menu and when you are editing your plan you can find this menu under your user name. 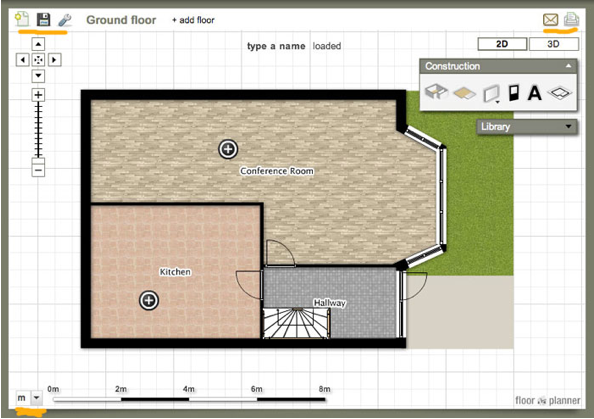 We have also made some improvements in the layout that you see when you are editing or viewing a plan. The icons for the tools now have different position giving you more room for your plan. Notice that you can switch the width of your sidebar and even double it's width (great for photo's) or hide it completely. The way we you can add or edit styles is slightly changed. The position of the custom logo is now in the top right of the page and we use a simpler set of 3 theme colors instead of 4. You can also choose your own color or image for the background. We have added some new options when you publish plans. All your published plans now use our short pl.an domain by default. You can also choose what information a visitor of your plan will see first and what size the sidebar has when when a plan is loaded. This gives you the option to publish your plan with a double with sidebar showing photo's or with a hidden sidebar that maximizes the viewing space. 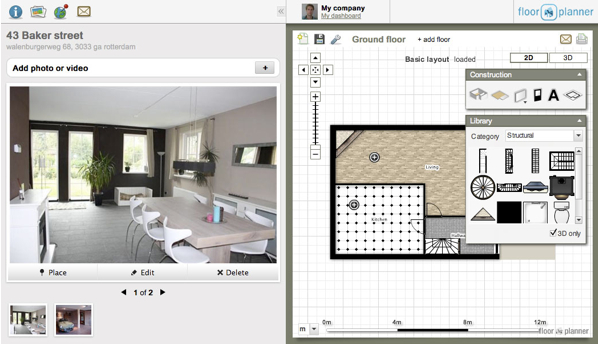 btw Photo's that are placed on a floor plan through an icon will now highlight when selected making it easier for your visitors to quickly understand where a photo has been taken.